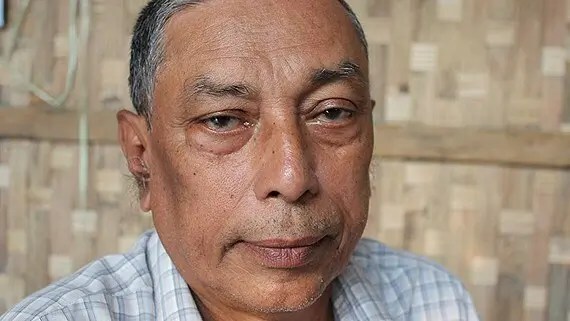 Human rights defender Kyaw Hla Aung remains arbitrarily detained in Myanmar over three months after he was arrested in connection with his peaceful activities. reports Amnesty International. He has been charged with multiple offences and is facing a lengthy prison sentence. There are serious concerns regarding his lack of access to his lawyer. Kyaw Hla Aung is currently on trial at the Sittwe District Court in Myanmar’s Rakhine state after he was arbitrarily arrested without charge and detained on 15 July 2013. Following the arrest, he was charged under Articles 148 (rioting, armed with a deadly weapon), 150 (hiring or conniving at hiring of persons to join an unlawful assembly), and 333 (voluntarily causing grievous hurt to a public servant to deter him from his duty) of the Myanmar Penal Code. Additional charges were added to his case after his trial began on 14 August 2013, including offences under Articles 332 (voluntarily causing hurt to deter public servant from his duty), 395 (robbery by an armed gang), 109 (abetting an offence) and 505(b) (statements conducing to public mischief) of the Penal Code. Article 505 (b), in particular, has been frequently used by the Myanmar authorities to stifle free expression and association in the country. Amnesty International believes that Kyaw Hla Aung is being targeted as an influential human rights defender with connections to the international community, and that the charges against him have no basis. There are further concerns that Kyaw Hla Aung is not receiving adequate access to legal representation, as tensions around the trial have reportedly prevented his lawyer from attending court hearings, most recently on 25 October 2013. Access to legal representation is a fundamental component of the right to a fair trial and a key human right enshrined in international law. Kyaw Hla Aung’s legal team have reportedly petitioned the Supreme Court to move the trial to Yangon. The trial is due to continue in Sittwe on 8 November 2013. Kyaw Hla Aung is currently detained at the Sittwe Prison. He was transferred from Sittwe Police Station No. 1 on 9 August. He suffers from ill-health; however, he is reportedly being visited by a doctor once a week in Sittwe prison. Ensure that all those imprisoned solely for peacefully exercising their human rights to freedom of expression, association and peaceful assembly are immediately and unconditionally released, and dismiss the charges against those facing trial solely for organising or participating in peaceful protest. Also send copies to diplomatic representatives accredited to your country. Kyaw Hla Aung was arrested on 15 July 2013 after spending several months in hiding following the arrest of several Muslim leaders accused of orchestrating community protests against a government-led population registration exercise conducted in Rakhine state in April 2013. Tensions arose when members of the Rohingya community refused to identify themselves as “Bengali”, which is viewed by many as a divisive term used to deny recognition to the Rohingya community in Myanmar and imply that all Rohingya are actually migrants from Bangladesh. Protests forced the authorities to suspend the registration exercise. Kyaw Hla Aung was not present during the protests. Instead, he tried to contact other Muslim leaders in an attempt to prevent the protests from becoming violent. He was initially taken to the Sittwe Police Station No. 1 in Myanmar’s Rakhine state and was subsequently transferred to Sittwe prison on 9 August 2013. He appeared before the Sittwe District Court on 31 July 2013 and was initially charged with three offences under the Myanmar Penal Code. Further charges were added after his trial began on 14 August 2013. On 13 August 2013, the UN Special Rapporteur on the situation of human rights in Myanmar Tomás Ojea Quintana visited Kyaw Hla Aung in detention during a visit to the country. In a statement to the UN General Assembly on 24 October 2013, the Special Rapporteur noted that a number of prisoners of conscience remain behind bars in Myanmar and called on the President of Myanmar to ensure that Kyaw Hla Aung and Dr Tun Aung – another prisoner of conscience from Rakhine state – be included in a release of all political prisoners promised by the end of the year. Kyaw Hla Aung is a prominent Rohingya lawyer and former staff of a humanitarian non-governmental organisation. Prior to this most recent arrest, he has spent more than 16 years in prison in Myanmar due to his involvement in peaceful activities. Amnesty International continues to receive reports about the arrest, detention, intimidation and harassment of human rights defenders and peaceful political activists in Myanmar. The Rohingya have faced discrimination in Myanmar for generations. They are not recognised as an official ethnic group and continue to be denied equal access to citizenship rights. Their rights to study, work, travel, marry, practise their religion, and receive health services are restricted to various degrees.